HONDA FR-V (BE) 2.2 i CTDi (BE5) Hatchback Diesel 07/2005 on FWD 16 140 103. Fuel Type Diesel. BOSCH 0 445 010 141, 0 986 437 356. Model year from: 01/2005; Fuel Mixture Formation: Common Rail (CR). Model year to: 12/2011; Fuel Mixture Formation: Common Rail (CR). Fuel Type Diesel. Fuel Mixture Formation: Common Rail (CR). Model year to: 12/2015; Fuel Mixture Formation: Common Rail (CR). Model year to: 12/2012; Fuel Mixture Formation: Common Rail (CR). Function High Pressure Pump. Honda Accord mk7 Civic mk8 2.2 CDTi Diesel fuel Pump BOSCH 16790RBDE01. Working condition. BOSCH PART NUMBER: 0445010141. HONDA PART NUMBER: 16790-RBD-E02. GENUINE PART. Ctdi Engine Size Colour: Silver. Fuel Type Brake Horse Power EVERY PART TAKEN OUT OF THE VEHICLE HAS BEEN TESTED. We try our best to make sure that you receive the item as you have expected it to be. HONDA 17040SAA000, 17045SMGE01, 17708TFO003. HONDA JAZZ II (GD_, GE3, GE2) 1.3 (GD1) Hatchback Petrol 03/2002 07/2008 FWD 8 83 61. HONDA CITY Saloon (GE4) 1.3 Saloon Petrol 10/2005 07/2008 FWD 8 82 60. High Pressure Diesel Pump fits HONDA CR-V RE6 2.2D 07 to 09 N22A2 Fuel Bosch. Condition is New. Dispatched with Royal Mail 2nd Class. EVERY PART TAKEN OUT OF THE VEHICLE HAS BEEN TESTED. We try our best to make sure that you receive the item as you have expected it to be. In such a case. PART CONDITION IS. (IF PART HAS. THIS PART IS GENUINE AND IN GOOD WORKING ORDER. ). Help us keep your car going for longer! BOSCH FUEL INJECTION DIESEL PUMP. Make Supersized Seem Small. Get Images that. 1.8 / 2.0 PETROL. LISTED ITEM: IN TANK FUEL PUMP WITH SENDER UNIT. Dvla approved End of life vehicle centre. PART NO: 0 580 313 055. ITEM MAY SHOW SIGNS OF WEAR & TEAR. Fits years: 1998 -- 2002. Howkins Motor Spares (Leicester). BOSCH WIPER BLADES & MOTOR. CHAMPIONS WIPER BLADE. APEC WHEEL BRAKE CYLINDER. APEC BRAKE DISC & PADS KIT. BOSCH IGNITION & FUEL PARTS. 2 Year Warranty Bosch High Pressure Pump. INA WATER PUMP KIT. BLUE PRINT TIMING BELT KIT. 2005 HONDA CIVIC 1.7 Diesel Injection Pump 0445010076 8972270264 . Condition is Used. Car run fine before dismantling. Would prefer collection...but postage can be arranged at your cost. See pictures for part no's... thanks for looking. eBay message for more information. PART NUMBER 0580313006. NOT FOR THE ROVER ENGINE. IF THERE ARE PART NUMBERS IN THE ADVERT, THEY'RE THERE FOR A REASON. THIS MUST BE CHECKED PHYSICALLY AGAINST THE PART YOU ARE REPLACING. IF IT DOES NOT MATCH THEN IT IS MORE THAN LIKELY WILL NOT WORK ON YOUR CAR. FOR HONDA JAZZ II. Fitting Position:in fuel tank. This is an original quality part manufactured by Bosch. Vehicle compatibility. Part specifications. HONDA 17040SAA000, 17045SMGE01, 17708TFO003. 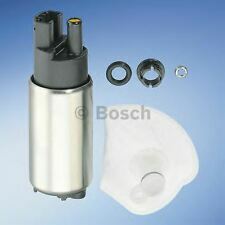 Fuel Pump In tank 0986580937 Bosch. Part Number 0986580937. HONDA CITY Saloon (GE4) 1.3 Saloon Petrol 10/2005 07/2008 FWD 8 82 60. HONDA CITY Saloon (GE4) 1.3 SES Saloon Petrol 05/2003 07/2008 FWD 8 86 63. LAMBDA SENSOR. BOSCH WIPER BLADES & MOTOR. CHAMPIONS WIPER BLADE. APEC WHEEL BRAKE CYLINDER. APEC BRAKE DISC & PADS KIT. BOSCH IGNITION & FUEL PARTS. 2 Year Warranty Bosch High Pressure Pump. INA WATER PUMP KIT. Multiple choices exist for:HONDA FR-V 2.2 High Pressure Pump. Fuel Type:Diesel. This is an original quality part manufactured by Bosch. FOR HONDA FR-V. PART CHOICE ALERT. Fuel Type:Diesel. This is an original quality part manufactured by Bosch. PART CHOICE ALERT. Part specifications. HONDA CIVIC Fuel Pump 0440008069 1.4 01/95-01/01. Hatchback / Petrol / Front Wheel Drive. BOSCH WIPER BLADES & MOTOR. CHAMPIONS WIPER BLADE. BOSCH IGNITION & FUEL PARTS. APEC BRAKE DISC & PADS KIT. HONDA CIVIC Mk V (EJ, EK) 1.4 i S (EJ9). Bosch Common Rail High Pressure Injection Pump 0445010093. other part numbers :0445010141, 16790-RBD-E020, 16790-RBD-E022, 16790-RBD-E023, 16790-RBD-E021, 16790-RBD-E02, 16790-RBD-E024, 16410-RBDA-E000. FOR HONDA CIVIC Mk8. Multiple choices exist for:HONDA CIVIC 2.2 High Pressure Pump. Fuel Type:Diesel. This is an original quality part manufactured by Bosch. PART CHOICE ALERT. FOR HONDA CIVIC Mk5. Fitting Position:in fuel tank. This is an original quality part manufactured by Bosch. Vehicle compatibility. Part specifications. KIA CEE'D (ED) 1.6 CRDi 128. LAMBDA SENSOR. BOSCH WIPER BLADES & MOTOR. CHAMPIONS WIPER BLADE. APEC WHEEL BRAKE CYLINDER. APEC BRAKE DISC & PADS KIT. BOSCH IGNITION & FUEL PARTS. 2 Year Warranty Bosch High Pressure Pump. 07/2005 3497 143 194 6G74 (SOHC 24V) Wagon. 04/1996 2555 98 133 4G54 Wagon. 09/1998 1324 54 73 B3 (16V) Coupe. 09/1998 1489 65 88 Z5-DE Coupe. 09/1998 1840 92 125 BP (DOHC) Coupe. 09/1998 1840 84 114 BP-ZE Coupe. IMPORTANT NOTES: Construction year from: 01.2005;Fuel Mixture Formation: Common Rail (CR). BOSCH 0 986 437 356. BOSCH CR/CP3S3/L70/20-789S. HONDA CIVIC VIII Hatchback (FN, FK) 2.2 CTDi (FK3) 09/2005 -. Belt Tensioner Wheels & Bkts. Suspension Ball Joints. Windscreen Wiper Blades. Injection System: Distributor Pump. Injection Pump. Any claims after 24 hours cannot be accepted. Rear Lights. Front Exhausts Cats. HONDA CITY Saloon (GE4) 1.3 10/2005-07/2008 1339 60 82 Petrol Engine Saloon. HONDA CITY Saloon (GE4) 1.3 SES 05/2003-07/2008 1339 63 86 Petrol Engine Saloon. HONDA CITY Saloon (CG_) 1.5 02/1997-11/1999 1493 77 105 Petrol Engine Saloon. Fuel Tank Sender Unit. BOSCH 1 582 980 053. BOSCH • 31 65143 20330 9. Just ask us and we can do a much better check. VEHICLE COMPATIBILITIES. CR-V II 2.2 CTDi. Genuine Remanufactured Injection Pump. Original Part Numbers Warehouse Part Number We’ve been on the market since 1989. Part Number : 0986580937. The Bosch Group is a leading global supplier of technology and services. If its sales and service partners are included, then Bosch is represented in roughly 150 countries. high pressure pump Honda ACCORD VII TOURER (CM) (12.05-5.08). 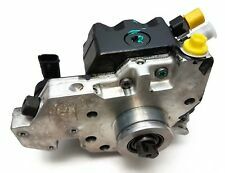 ROVER 600 Injection Pump 0986440522 2 01/93-01/99. BOSCH WIPER BLADES & MOTOR. CHAMPIONS WIPER BLADE. APEC BRAKE DISC & PADS KIT. ROVER 600 (RH) 2 620 Sdi. BOSCH IGNITION & FUEL PARTS. Distributor Pump, Direct Injection. Part Number : 0445010612. The Bosch Group is a leading global supplier of technology and services. If its sales and service partners are included, then Bosch is represented in roughly 150 countries. Multiple choices exist for:HONDA JAZZ 1.4 Fuel Pump. FOR HONDA JAZZ II. Fitting Position:in fuel tank. This is an original quality part manufactured by Bosch. Vehicle compatibility. PART CHOICE ALERT. OPEL 815037, 9120218, 9128644. HONDA CIVIC Mk IV Fastback (MA, MB) 1.6 i Vtec (MB1) Hatchback Petrol 09/1994 01/1997 FWD 16 126 93. ASIA MOTORS TOWNER Box (AS_) 0.8 Box Petrol 07/1992 12/2002 RWD 8 42 31. 16790-RBD-E01 0445010093. HIGH PRESSURE FUEL PUMP. USED PART WORKING FINE.